When season nine began in October, I wasn’t feeling it. I stayed out of the weekly viewing, and after the finale aired, I binged the season online. I found my favorite show almost unrecognizable, and though fans seem to have hailed season nine as the beginning of a new era, I’m not convinced it has returned to the quality standards of earlier seasons. I’m happy to report, however, The Walking Dead is not a reanimation, a topical metaphor that would be too on-the-nose. Change has been a constant for The Walking Dead, and it’s been one of the show’s strengths. By the end of season nine, AMC’s cash cow has undergone some big changes. Six years pass after the mid-season break, and by the final episode, it’s been about ten years since the outbreak. Even at the beginning of the season, you could say things have changed a bit. When Angela Kang took the showrunner mantle from Scott Gimple after a mediocre-at-best season eight, fans rejoiced. Over two seasons fraught with missteps and bad decisions, Gimple had fallen out of favor and become a scapegoat for the show’s failings during a much-anticipated story arc adapted from the comic book. Pop culture fans love nothing more than a scapegoat for their beloved thing’s failings, but while I have zero insight into the machinations of the show’s production, Gimple wasn’t the The Walking Dead’s only problem, if he even was one. Fans had forgotten they had championed him for saving the show in season three and taking it to a place where it was one of the best TV series of its time for three and a half seasons. After the series was fraught with managerial strife for its first two and a half seasons, Gimple was the best thing to happen to The Walking Dead. Seasons four and five are still the show’s best, in my opinion, and he’s responsible for many episodes that are still the series’ finest, episodes the show continues to reference even five years later. In a show about constant change where no character is safe, that speaks volumes about the work Gimple did. Furthermore, in most cases where the show stumbled during Gimple’s time at the helm, I would argue it was due to poor execution, not writing. Even when the show has been surprisingly bad, it always had a meaningful core idea it was trying to express, and that is worth consideration. The reality of filmmaking is telling a story involves many moving parts and people, and any one point of failure can mean something ends up not working. Especially for that reason, I think it’s important to view a series like The Walking Dead, which is expected to produce cinema-quality film in a quarter of the production time, for its intentions as much as its outcomes. In short, forgiveness is a virtue, especially when you have a desire to be a fan of something. With that in mind, I caught up on season nine (Kang’s first at the helm) with tempered expectations. I think the show’s most significant problem (execution and logistics) remains. The fact is The Walking Dead is a juggernaut of a production, and no one person should bear the weight of its failings. 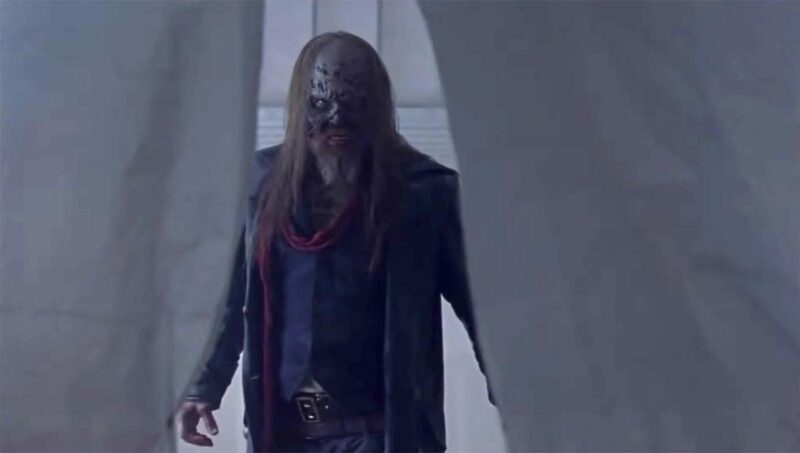 Under Kang’s leadership, the show seems to have quashed some of issues it had under Gimple, but new problems that are no less significant have arisen. After everything, the fans seem pleased with season nine. I want to believe the community narrative (“Gimple bad, Kang good”) and that the show has turned a corner, but it hasn’t. Season nine has some great episodes, but it has its own missteps. For the most part, it demonstrates the same quality of storytelling, if it seems a little more mature, a little more capable of assessing its own limitations. Kang’s first season was not an immediate cure for the show’s persisting flaws. If you’re a Walking Dead fan shaking your head because Gimple bad, Kang good, I hope you keep reading. Spoilers below because it would be impractical to write this without them. If you look for criticism of the show, you will invariably find bad writing atop the list. However, writing has rarely been The Walking Dead’s primary problem. The stories generally have a strong foundation of narrative ideas with meaningful themes. Granted, it has its share of bad ideas and decisions. 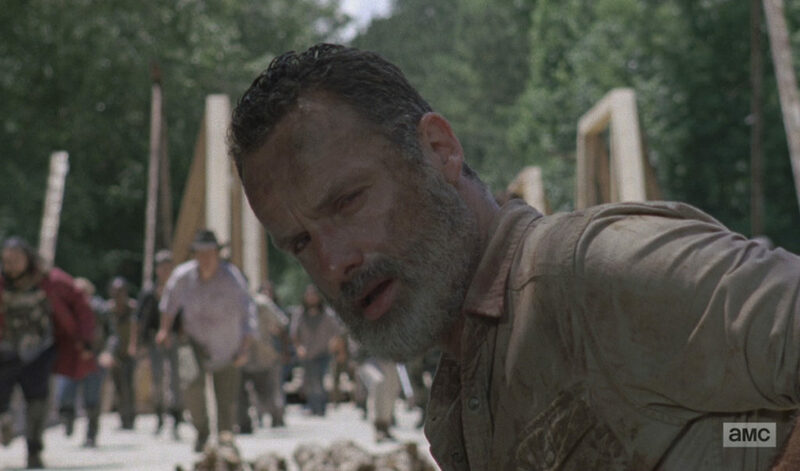 The Walking Dead’s greatest problem is in the execution of those ideas, though, and nowhere was that shortcoming more apparent this season than in Rick Grimes’ farewell in episode five. Considering he has been the center of the story until this point, it’s certainly the most significant instance of negligence in the series, including when it was helmed by Gimple, Glen Mazzara, and Frank Darabont. 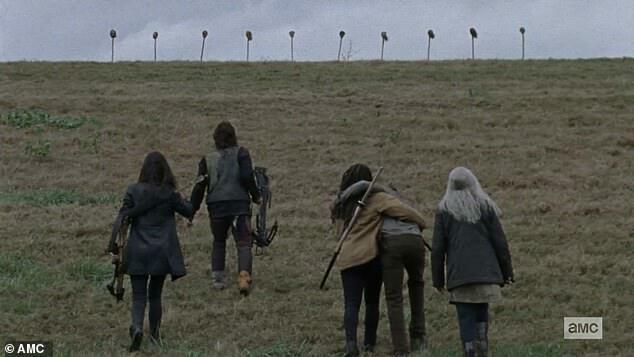 At the episode’s beginning, Rick is at a crossroads (classic symbolism, nice) and walker herds are coming at him from two directions. With some simple math, we can deduce he has two other paths to choose. Instead, he flounders on his horse, which bucks him off… right onto a slab of broken concrete with rebar sticking out that is there only because the crew needs Rick to be injured. Because debilitating injuries make struggles more visceral. We need the hero to really grit through the pain. Or something. I should note this crossroads is in farmland. 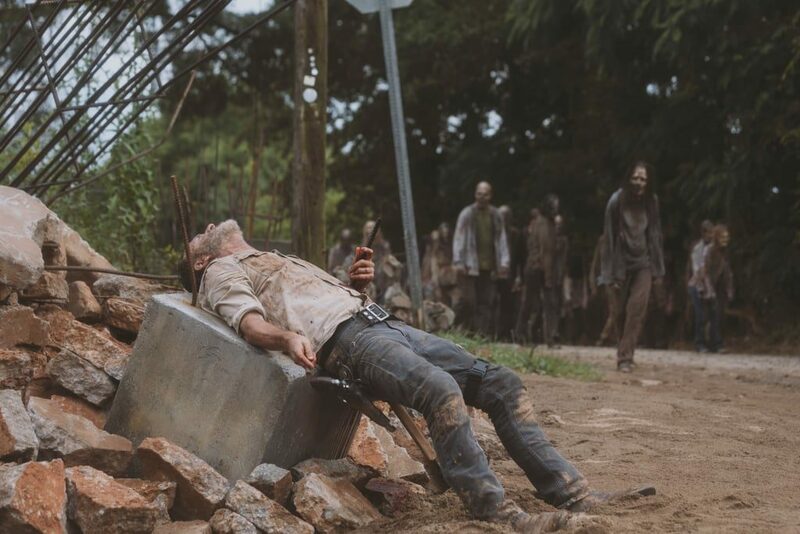 There is no reason for construction-grade concrete to be there except that the crew needs Rick to be impaled. Seriously, who put that there? Okay, so he un-impales himself. He’s really struggling now. He gets back on his horse just in time before the walkers eat him and heads off in one of those two directions that were open to him to begin with, now plus a through-and-through blunt-object stab wound. There is some funky stuff with Rick slipping in and out of consciousness. I won’t go into it except to say he sees people from past seasons who have died, and Lori and Carl, the very foundation for his story’s struggles, are notably absent. Eventually, Rick leads the herd to the bridge his people have been building all this season (more classic symbolism). It’s apparent the reason he had trouble at the crossroads is because he didn’t want to lead the walker herd here. To stop it, it’s obvious now he’s going to have to destroy that bridge before he bleeds to death. The herd starts to cross it, and there’s some hope the bridge will buckle under its sheer weight. Of course it doesn’t. But wait, there’s a cart of dynamite. Why is there a cart of dynamite on the newly constructed bridge? Who just leaves a cart of dynamite sitting on their precious, new bridge? Who brought dynamite to a bridge construction project to begin with? You don’t explode a bridge into existence, and even if you need to blast some rock (there is no reason to believe they would have needed to), the project has lasted several weeks and they would have removed the dynamite from the site after they used it. So of course Rick shoots the dynamite, and it blows up the bridge and him along with it, and all of his friends show up at the last second to witness it for no other reason than they needed to be there for drama. The walkers begin a lemming march into the rushing river below, which solves the herd problem; however, Rick’s lady-friend and post-apocalyptic samurai, Michonne, is losing her mind mere feet from the road, and even though the soundtrack has muted her, I’m sure the walkers can hear her and would divert off the road and chase her, leaving Rick’s sacrifice in vain. One thing about Rick’s sacrifice: He doesn’t die. Despite the fact that the shockwave would have turned his organs to paste and the explosion would have thrown him backward onto the road (because this is how physics work), he somehow ends up in the river and then just happens to wash up on the bank near Jadis, who is utilizing the helicopter McGuffin they planted some seasons back to run away. Conveniently, she gets Rick on the chopper because AMC needs him to make a trilogy of movies, and that’s how the show exits its primary hero for eight and a half seasons, the guy at the heart of one of the most successful TV series in history. It’s easy to see how this all would have been meaningful on paper. It’s upsetting how poorly the production crew handled it and hoped we wouldn’t notice. I firmly believe fans have to grant creators leeway and benefit of the doubt, but this whole sequence was insulting to the most passionate of viewers. We knew Rick was leaving the show. We, therefore, had no reason to tune in. We did anyway, hoping it would be worthwhile. And it stunk. Oh, and then there’s a six-year time jump, and we see eight-year-old Judith rescue some survivors by popping off walker headshots at 50 yards with her dad’s 6-inch, .357 magnum revolver, a gun she would barely be able to lift let alone reach the trigger on. Look, I get it. It’s a show about zombies, and at some point, it’s all about the fun of it. But The Walking Dead was always exceptional because it rarely was solely about the fun. Storytelling in any medium should be thoughtful, meaningful, and fun. When creators so recklessly violate suspension of disbelief, thought and meaning evaporate, and then what’s the point beyond superficiality? It’s hard to enjoy anything you’re passionate about when the creators treat it like throwing spaghetti at a wall. Sometimes character deaths upset fans, and I understand. When characters are done really well and have a satisfying, immersive storyline that moves you, it hurts when they’re gone. That’s okay. That’s what a good character death is supposed to do. 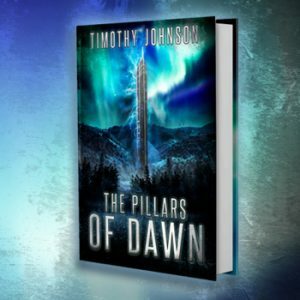 When a character death leaves you frustrated and mad at the storyteller, something has gone wrong. Setting Rick aside, some notable characters bit the dust this season, and I was upset about how almost all of them were handled. First, I have to talk about mid-season finales. I hate them, and I hate that we’ve been trained to accept them. This TV Guide article begins with “It wouldn’t be a Walking Dead midseason finale without a prominent character death.” That’s the problem. Why? Why does a mid-season finale have to involve a prominent character death. Death’s should never be obligatory, because then they’re inevitably forced, and The Walking Dead was so great when it found other ways to shock and move its viewers. Character deaths should never be cheap gags for audience thrills because then they come at the expense of whatever emotions the audience feels for those characters. It’s almost like he knew it was coming. If you don’t know, this is Jesus, by the way, named because he looks like the whitewashed Jesus. The guy above is Aaron. So, in this mid-season finale, Jesus dies. It’s weird. He gets stabbed in the back, and he dies instantly. At worst, the blade gets his liver. I’m no doctor, but let’s say the knife severs an artery, he has some time before he bleeds out to at least say goodbye or add a little meaning to his loss. Jesus’ death comes at a turning point in the season’s story arc when a new villain is revealed. It’s certainly cool. Jesus is dispatching walkers, something both we and he have become comfortable with over these last nine years, and as he’s about to rejoin his friends, a walker dodges his swing, pivots, and stabs him in the back. That is what matters here. We’ve just met the Whisperers, a group of survivors who seem to have really been into Slipknot before the world ended. They skin the dead and wear those skins as masks to not only blend in with them but also to lead them and use them as weapons. And the show is using the meaningless death of a beloved character just to make that introduction. That death is unnecessary and used purely to make viewers sad for the arbitrary two months the show takes off mid-season. 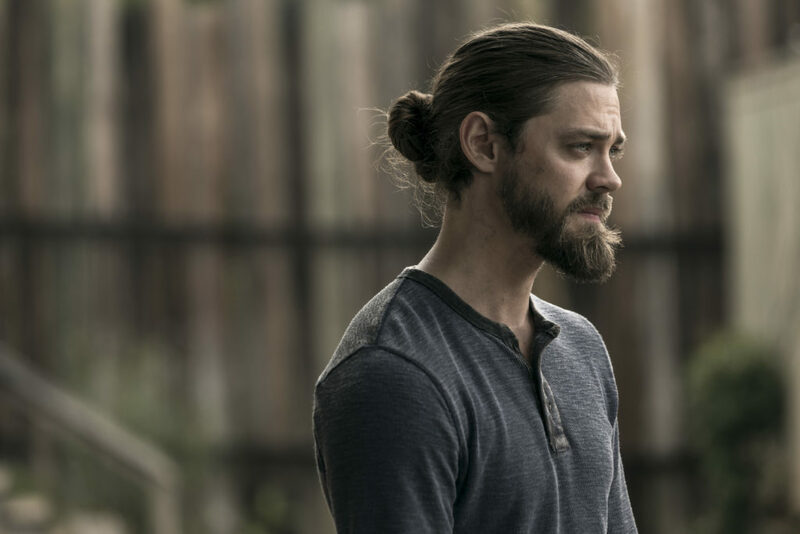 Furthermore, Jesus isn’t given any kind of story arc this season as he takes over command of Hilltop, and almost as quickly as he’s gone, he is seemingly forgotten. No one really mourns his loss, and it doesn’t really change anything. Say what you want about the way Gimple handled Glenn and Abraham’s deaths bridging seasons six and seven, but the show spends entire seasons giving both of those characters satisfying story arcs so that, when it comes time for them to meet Lucille, their deaths punctuate the statements their lives make. Their deaths mean something. Jesus’ death does not, and it’s a shame when a primary character’s loss is meaningless. Kang’s The Walking Dead wasn’t finished with wasting characters. In the penultimate episode, there is a breathtaking scene the series will come to be remembered for in which the Whisperers release some of our heroes from capture and tell them to leave their territory, which is now marked. Our heroes exit the camp and make a long climb to the top of a hill, which we and they know the whole way is marked by the heads of their friends on pikes. The only question during that climb is who they have lost. It’s gruesome. It’s cruel. It’s sadistic and psychotic. And it’s powerful. There is some character fodder on those pikes. But also, there are some of our primary characters, most notably Enid (who’s been around for several seasons and hadn’t had any kind of arc for a while), Tara (who’s been around since season four, has just become leader of Hilltop, and doesn’t really have any kind of storyline leading up to this), Tammy Rose (a mother, played by Brett Butler, who has lost her son and then, through stunning cruelty, is gifted an infant and then isn’t explored), Ozzy (an interesting character we’d just met as a bandit turned highwayman and who certainly isn’t explored), and Henry (a major focus of the season with tons of potential as the Kingdom’s prince and who is clearly meant to be the emotional gut punch here). I’m only but so mad about Henry. 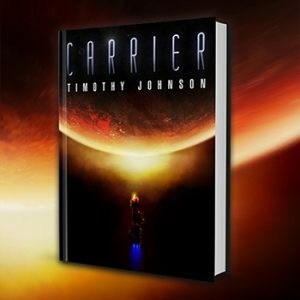 His story is short but effective, and his loss is powerful and will radiate into the future as Carol and Ezekiel seek to cope with the loss of not one but now two adopted sons. The other characters are utterly wasted, apparently intended to shed cast members for the sake of shock value. Whether they were newcomers with potential or veterans who hadn’t been given their due, their deaths mean nothing and are used purely for spectacle. When The Walking Dead does stuff like this, I’m never sure if they’re just not thinking it through or if they’re pandering. A few things bother me about the Whisperers’ arrival: 1). It’s been nine to ten years since the apocalypse, and we’re to believe they never discovered any of these communities in their wanderings around Virginia, 2). Once they’re in and steering a herd, how do they get out? And 3). For characters who generally don’t have much dialogue, their dialogue is awful. What? Those walkers are talking! Spoooooooooky! First, nobody says “must.” We say “have to” or “need to” or “should.” Second, that very line of dialogue is unnecessary. They just found the Kingdom. I don’t expect them to keep it a secret, and we already know the dynamic of their group is to report things to Alpha. We’ve seen them do that a bunch of times by that point. If you really need more, refer to anything Beta says. I love the idea of having a giant, imposing figure at Alpha’s command, especially since Alpha is seemingly such a mouse of a person, and that sets up a paradox in traditional power dynamics as we generally perceive them, but come on. The guy is basically Taserface from Guardians of the Galaxy. I mean, the Ravagers really can do better than Yondu. Before season nine, one of the show’s strengths was in what characters left unsaid. The Walking Dead has rarely pandered to its audience in such a basic way, but season nine is rife with it. And if it had a stereotype (see Abraham, Michonne, Jesus, Eugene, or Rick), it pulled them off with some sense of legitimacy. Despite this season’s flaws, it corrects in a few places and even does something extraordinary (for The Walking Dead). Fear the Walking Dead, the series spin-off, has been good in the past with how socially relevant it has been, but the flagship has never really replicated that, instead choosing to focus on core issues of love, loss, hope in spite of grief, etc. This season, it offers a fairly effective condemnation of nationalism and authoritarianism, perhaps the greatest cultural issue facing western civilization today. Furthermore, LGBTQ characters are no longer token inclusions, and their love lives are no longer on awkward display as if a tool to prove how progressive the show is. The cast is more diverse than ever, even substantially including a deaf woman in a prominent role. More to this season’s credit, outside of the aforementioned bad dialogue, much of the other dialogue seems more natural. Under Gimple, there was quite a bit of grand speech to support a particular character’s narrative (also, there is the Heapster trash people whose speech had devolved to primitive grunts, basically). It was rarely expository or used to reveal plot, but it could feel unnatural at times. Under Kang, the dialogue is more often looser and more casual. It’s more believable that these people might actually say these things. If we’re pitting Gimple and Kang’s shows against each other, I think we can call dialogue a draw. Despite the characters chosen for the pikes, that scene is heart-rendingly beautiful and will be a high point for the series. Another finer point: I’ve long held the belief that this show suffers more than most from the weekly episode format. It’s such a binge-worthy show, and one indication it is now considering the on-demand fans is the final episode in the season is a resolution instead of a cliffhanger. We leave our characters in a coda instead of a turning point, and it’s much more satisfying than the gimmick of attempting to keep audiences engaged in the offseason by leaving them frustrated and teased. 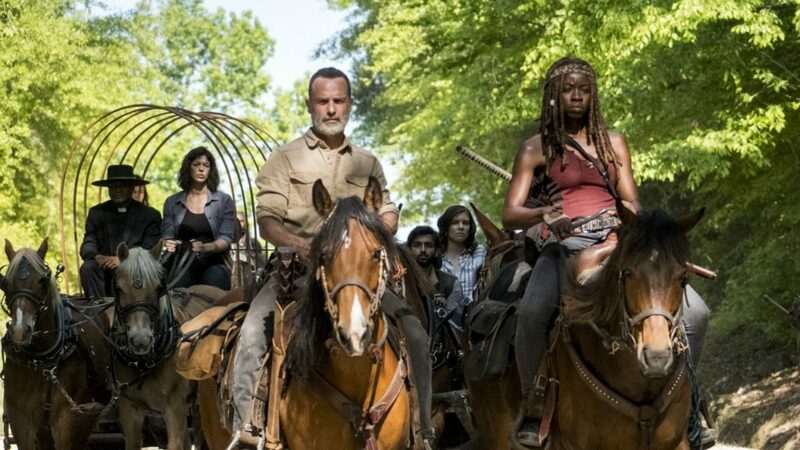 With season nine, it seems The Walking Dead trusts us as viewers a bit more than it used to, and what’s more is Angela Kang said doing the pike scene in the second-to-last episode was a deliberate choice. Also, Maggie finally kills Gregory, which is an objectively good thing, so there’s that. Even now, nine seasons later, and on the fourth showrunner, The Walking Dead isn’t a bad show. It is a great series overall that has had problems as it has aged. That is not a strange story. The thing that’s strange is probably how good it has actually held up during an extremely long existence. With Rick Grimes gone, however, I can’t say I love it anymore, but I can say I still like it. 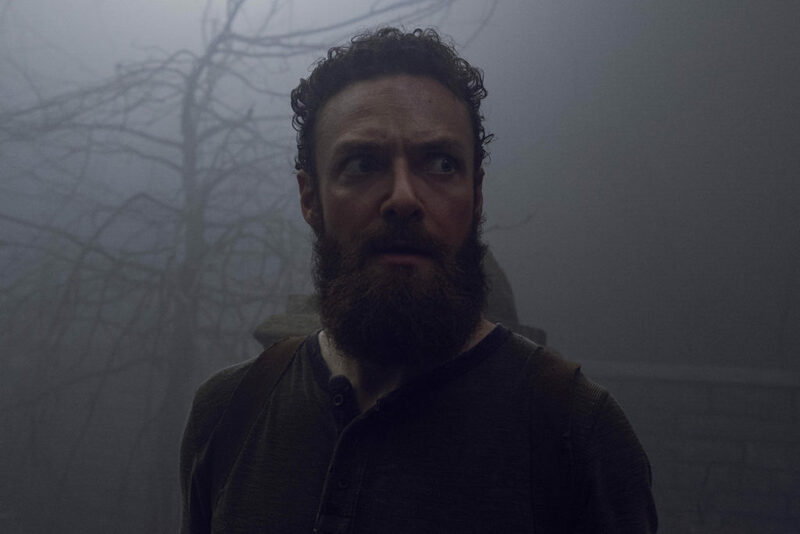 It feels like an illegitimate spin-off of itself now, as if the characters who are now the show’s focus have left and started their own narrative with the real Walking Dead continuing in some alternate universe. I’m ready for it to end, though I will enjoy it while it continues. Am I still a fan? I don’t know yet. I don’t feel the need to continue with the criticism at this point, and I’m unsure if that means I’ve run out of issues to criticize or I don’t have the passion for the show I once had. 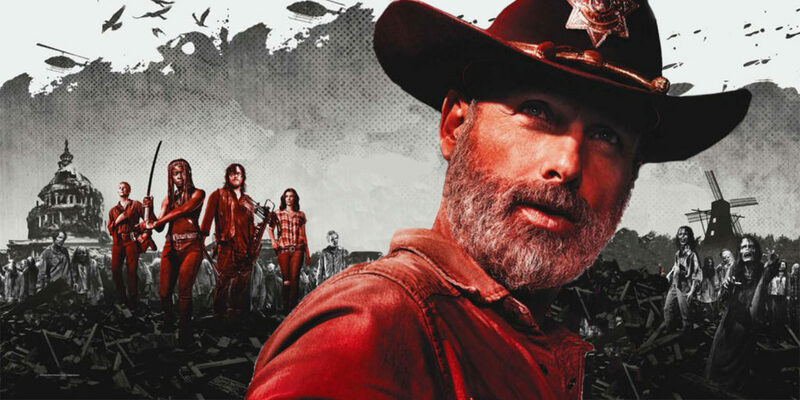 I’ll probably tune in for season ten if, for no other reason, to pay my respects to eight seasons of my favorite show and one of my favorite TV characters, Rick Grimes, sheriff of the apocalypse. I probably won’t watch it live, though. The Walking Dead is a show best binged, and now that I feel a separation from it, I don’t feel the need to watch it with its weekly release. Maybe that is ultimately a positive thing. Tagged Horror, The Walking Dead, TV, Zombies.